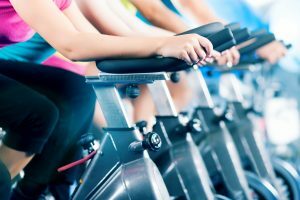 If you’re someone who loves going to the gym, you’re most likely looking for ways to challenge yourself and get in even better shape. You may not have time to be at the gym for hours on end, but when you are there, you want to get in a good sweat and leave feeling like you accomplished something. At SweatHB in Huntington Beach, we offer unlimited workout packages that will give you the opportunity to go to the classes you want to, when you want to. With most gym memberships, you have to choose one type of class to attend, or simply find the ones that best fit your schedule. With our Unlimited Packages, you can attend one RealRyder™ spin class and one Pilates workout per day. Instead of choosing one over the other, you can go to both, and get a complete workout every single day! You can go in whatever order you like, and you’ll work your legs, upper body, and core, and also improve your balance and get a great cardio workout at the same time. Our Unlimited Membership Packages are available in an auto-renewing four-month commitment, and once you’ve fulfilled the four months, you can discontinue the auto-renew with a 30-day written notice. You can change to a limited plan, or come in for private one-hour sessions where you focus on a specific fitness goal. To find out more about our membership options, check out our Pricing page. We’re always proud to offer new member specials, and will gladly answer any questions you have about our gym or our classes.